I want to announce my inclusion in a new anthology that will be out very very soon. 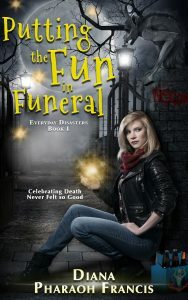 Faith Hunter writes some fabulous books. One trilogy is the Rogue Mage series–which are really really good and if you haven’t read them yet, you should (e-version of the first book is $2.99 right now). She asked me if I’d like to write a story set in that world for an anthology. I spent a little time squealing and dancing and then said yet. Cuz, duh!!!! 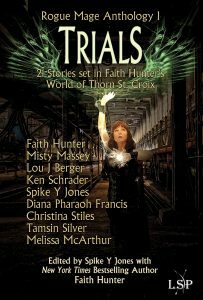 TRIBULATIONS Authors are Lucienne Diver, Jean Rabe, Spike Y Jones, Christina Stiles, Faith Hunter. Posted in publishing, short stories, writers who are not me Comments Off on Cool Exciting News! DO buy the book as soon as you can. Sales during the first week are very important—think of it as “opening weekend” for a movie—but they’re not the end-all be-all. If you can get the book in the next few days, get the book. Remember, books make great gifts! DO post reviews on your blog or on Amazon.com or Goodreads. Reviews are fantastic! Reviews make everything better! Please, write and post a review, even if it’s just “I liked it.” Honestly, even if it’s just “this wasn’t really my thing.” As long as you’re being fair and reasoned in your commentary, anything you say is perfect. (I like to believe you won’t all race right out to post one-star reviews, but if that’s what you really think, I promise that I won’t be mad.) Reviews help authors get better standing and advertising at the online stores and hopefully helps generate sales. DO tell your friends if you happen to like the book. Word of mouth is so helpful. I mean, how many times have you picked up a book because a friend told you it was good? That’s about all I have. I will now go back to pacing and chewing my nails. 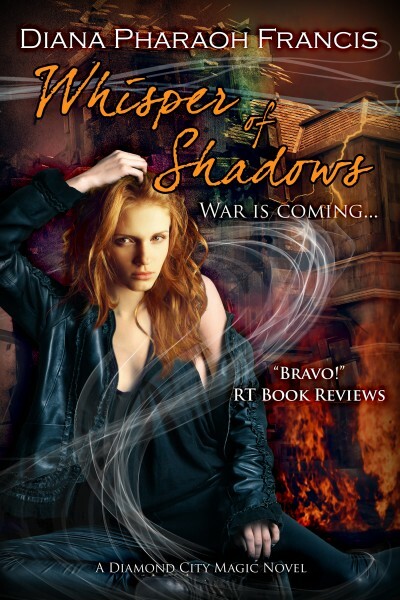 Have you read Faith Hunter‘s Rogue Mage series? If not, you should. It is an amazing trilogy. Except . . . There’s news. The trilogy is getting some extras and I get to be part of it!! !